Ghana edged DR Congo 1-0 in a tightly contested quarter final match of the 3rd Orange African Nations Championship played on Sunday 26th January night at Free State Stadium in Mangaung. A successful penalty kick from Kwabena Adusei was all the Black Stars needed to knock out a stoic DR Congo. 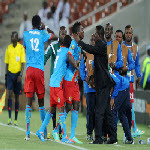 Former champions Democratic Republic of Congo came from behind to book a place in the quarter-finals of the African Nations Championship with a 2-1 win that eliminated brave Burundi at Peter Mokaba stadium in Polokwane on Wednesday evening. 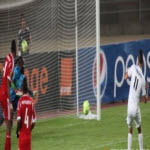 DR Congo got off to a winning start with a narrow 1-0 win over a gutsy Mauritania side in the Group D match of the 3rd Orange African Nations Championship played at Peter Mokaba Stadium on Tuesday 14th January afternoon. A 51st penalty strike from Eddy Emomo was all that separated the two sides and give 2009 CHAN winners the win. 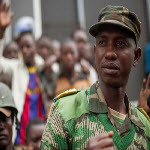 Colonel Mamadou Moustapha Ndala, who led Congolese army soldiers on the front lines during their victory against the M23 rebels, was killed on Thursday in Beni, North Kivu province, during an ambush. According to military sources, Col. Mamadou Ndala died after a rocket hit his vehicle near the village of Mazizi. 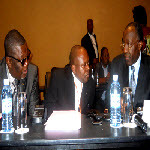 DR Congo’s government and the former M23 rebels have signed two documents marking the end of the peace talks they were holding in Kampala, Uganda, since December of last year. The two sides each signed a different document from the one signed by the other side on Thursday in Nairobi, Kenya. 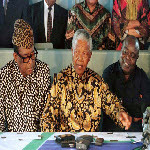 DR Congo’s government has decreed three days of national mourning beginning Friday to honor the memory of Nelson Mandela, the first black president of South Africa, who died on Thursday in Johannesburg. 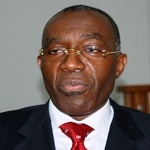 Congolese music giant Pascal Tabu Ley died on Saturday in Brussels, Belgium. He had been in a coma in a hospital for several days. 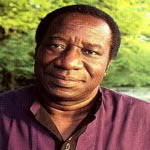 Considered one of the greatest Congolese musicians of all time, he pioneered the musical genre known Congolese rumba. Tunisian club side CS Sfaxien edged out visiting DR Congo’s TP Mazembe 2-0 in the first leg of the Confederation Cup final match. A first half strike by Didier Ibrahim N'Dong and a late strike Yassine Khenissi separates the two sides going into the deciding match next Saturday in Lubumbashi.